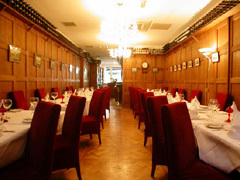 Greig's aura is a gentleman's club - hushed entrance, reverant service, whipered exchanges. Food is deliciously focused on sumptious steaks. Faultless-except the smoking! Great for a formal encounter.